NASA’s next Mars rover is due to land in just a few days, and the huge robot’s handlers can hardly wait. The 1-ton Curiosity rover, the heart of NASA’s $2.5 billion Mars Science Laboratory (MSL) mission, is slated to touch down inside the Red Planet’s Gale Crater on Sunday night (Aug. 5). Excitement about the big event is building among the MSL team, many of whom have been working on the mission for five years or more. “I am absolutely thrilled to have the chance to land this spacecraft on the surface on Mars,” MSL chief scientist John Grotzinger, of Caltech in Pasadena, said in a press briefing today (Aug. 2). 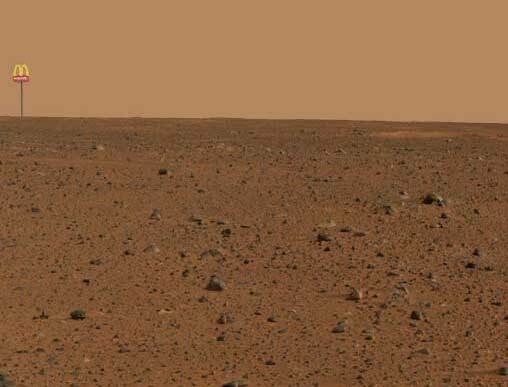 NASA officials, are confident that it will work, and that the car-size robot will soon begin its Red Planet rovings. Mars scientist excited about their road trip.. This entry was posted on August 3, 2012 at 7:28 am and is filed under Uncategorized. You can follow any responses to this entry through the RSS 2.0 feed. You can leave a response, or trackback from your own site.